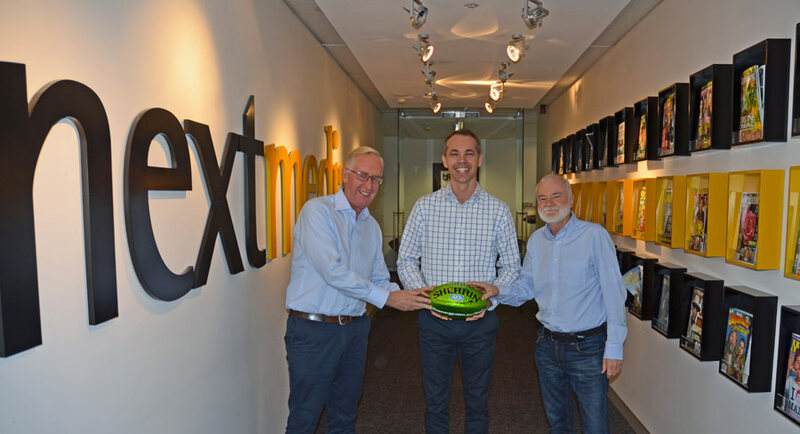 Earlier this year, Mediaweek reported that the co-founder and CEO of nextmedia, David Gardiner, was stepping aside to be executive chairman of the thriving publishing house. Taking over as head of day-to-day operations was Hamish Bayliss, who just this month started in his new role as managing director. 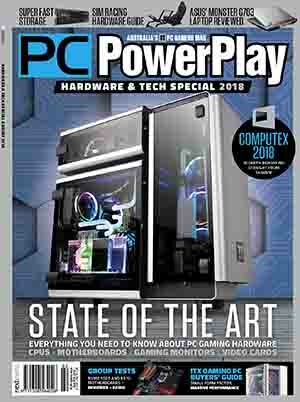 Gardiner co-founded nextmedia with commercial director Bruce Duncan and the backing of Wolseley Private Equity. 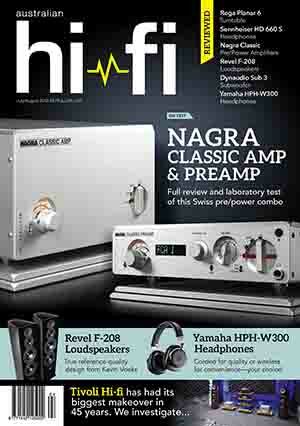 The founders subsequently sold to German publisher Forum Media Group, but they both remain part of the business. Bayliss has been with the publisher for more than 10 years and was formerly national advertising manager for Inside Sport at the title’s previous owner Horwitz Publishing. Early in 2008, Duncan and Gardiner bought Horwitz, and Bayliss’s role developed from there into the head of sports sales. 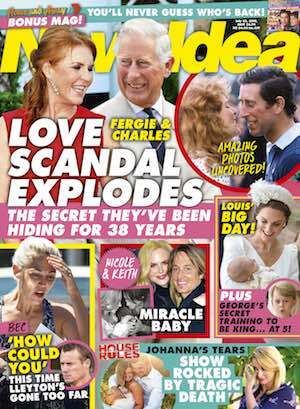 “I was then looking after Inside Sport plus Golf Australia, Inside Cricket, Tracks, Australian Mountain Bike and Four Four Two,” Bayliss told Mediaweek. After four years and more than 1,200 episodes of Family Feud Australia, Ten will be farewelling the show today and introducing a new game show format to its viewers at 6pm on July 23. 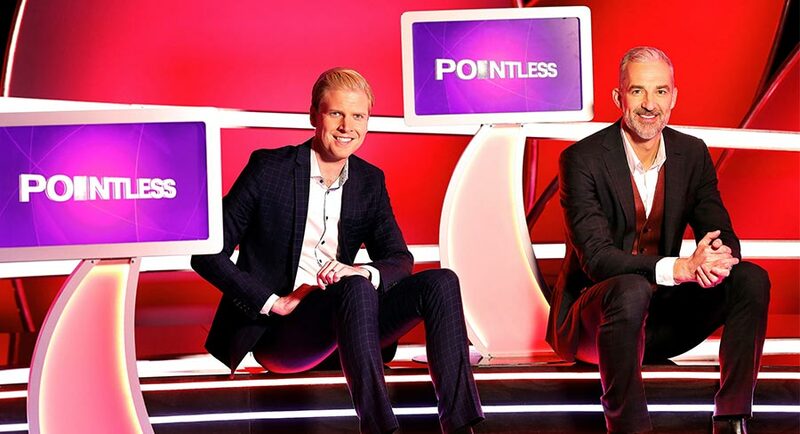 Pointless is a UK format that has been adapted as a 30-minute show for the Australian audience. It is produced by Endemol Shine Australia for Ten. “It’s Ninja for nerds – completely addictive – and we’re hoping it’s a bright and breezy alternative to news at 6 o’clock,” Ten executive producer Rick Maier told Mediaweek. 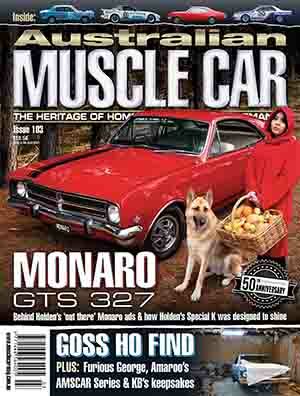 • Southern Cross Austereo meanwhile noted SCA has the biggest audience on the Gold Coast. 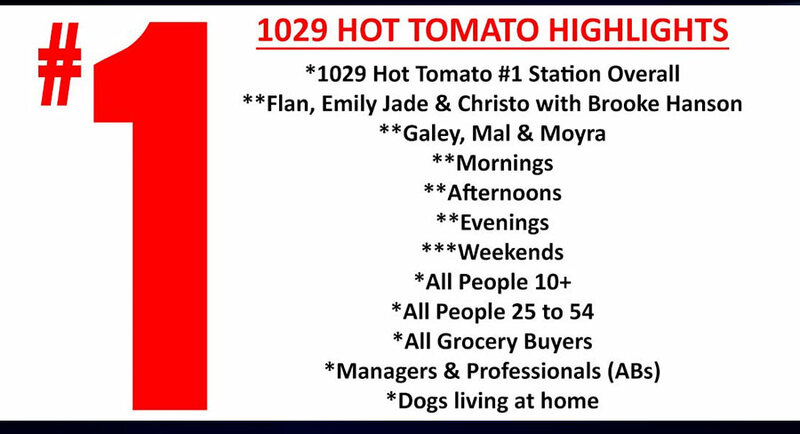 Australia’s biggest independent commercial FM station Hot Tomato has noted it is #1 across all sessions. Southern Cross Austereo meanwhile noted SCA has the biggest audience on the Gold Coast. 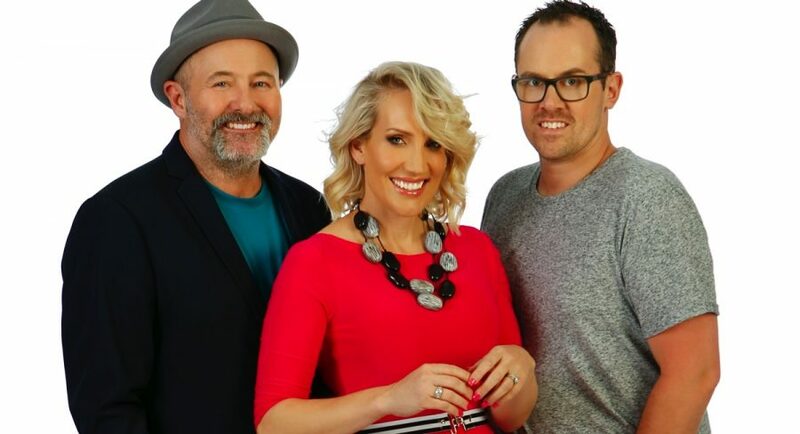 Flan, Emily Jade and Christo with Brooke Hanson is not only vying for the award for the longest show name in Breakfast radio, but it is HOT with a dominant lead as the number one choice to wake up to by Gold Coasters. Galey, Mal and Moyra is HOT with a clear lead making the local team the Gold Coast’s favourite show to listen to for the drive home each afternoon. 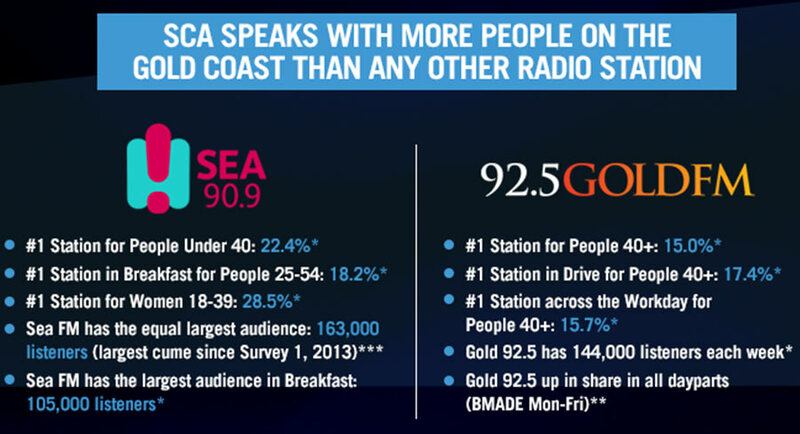 The Southern Cross Austereo highlights noted a total SCA Gold Coast unduplicated audience of 254,000 – 163,000 listen to Sea FM each week and 144,000 listen to Gold 92.5 each week. There is not much more to be said about the future of Wentworth after Cameron Adams’s excellent article in the Herald Sun but let’s have a red hot try anyway. Describing the show’s future as being “still in negotiations” means they have already decided its future and may not be ready to break the bad news. While it seems absurd to wind up an internationally successful drama (quite rare these days) that just won TV Week Logie Awards for Most Outstanding and Most Popular, ratings are somewhat down. Perhaps the writers, known for taking outrageously bold risks, want to go out on top but the rabid reaction from fans this week should send a very clear message to Foxtel, the network that once saved A Place To Call Home in similar circumstances. 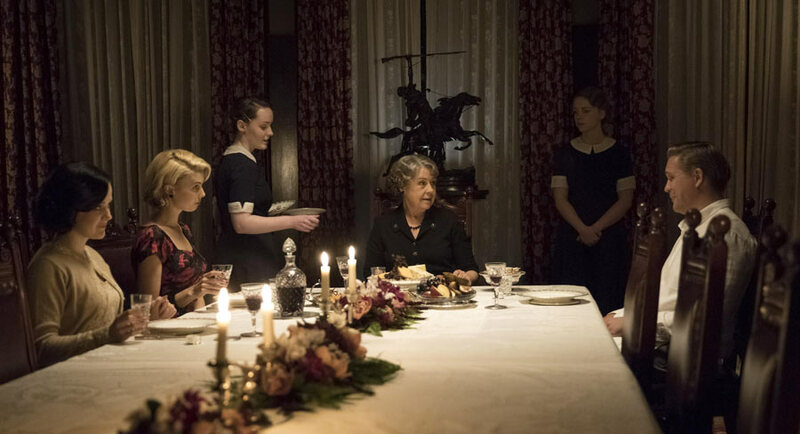 Tax concessions that will stop after reaching 65 episodes will make it more expensive to produce, but surely this is a cheaper show to make (given it is filmed mostly in a studio) than APTCH (a lavish period piece). Surely Foxtel isn’t looking to save some money after the huge cost of getting cricket rights. Sports are important but having an Aussie drama with a passionate fan base is much harder to find. It makes perfect sense that Foxtel would want to keep such news a secret while the current series is on air but with petitions to #SaveWentworth gaining traction, what will its next move be? The immediate outpouring of love for the show suggests there could be life in the old girl yet (and yes, that could also refer to The Freak who could still rise from her grave at any point). So will Foxtel say nothing – or try to change the narrative with a different response? That’s because an audience will forgive you if they love you enough. 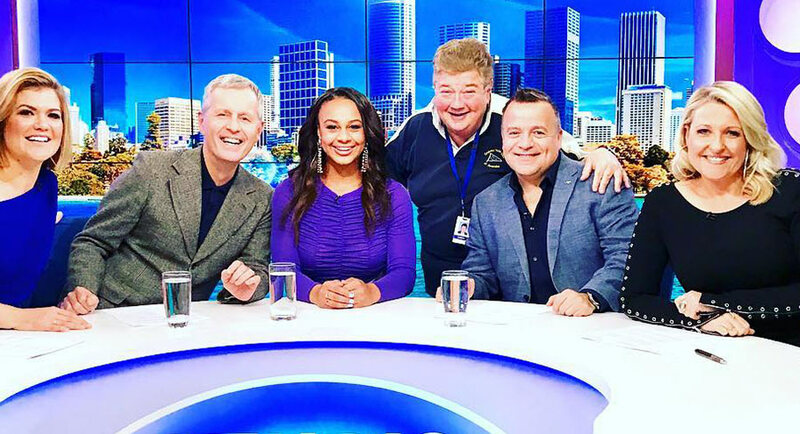 Look at lovable Grant Denyer, who has given several different stories about how he hit rock bottom just before Family Feud. From a stomach bug caught in the floodwaters of Brisbane to slow-moving constipation and then prescription painkiller issues, there were enough responses here for this to become a question on Family Feud, if it ever comes back from being “rested”. Also having a rest was Ita Buttrose, who quit Studio 10 a few months back saying she wanted to spend more time with the grandchildren. This week, however, she skipped school holidays to co-host Nine’s rival morning show. Fans would never believe she is having a go at her former employer because Ita is an icon who can do no wrong. And even though Sunrise got it really wrong when they neglected to credit the ABC when they aired footage from Four Corners, its devotees don’t care about silly things like copyright. All viewers want is to see their faves on air. 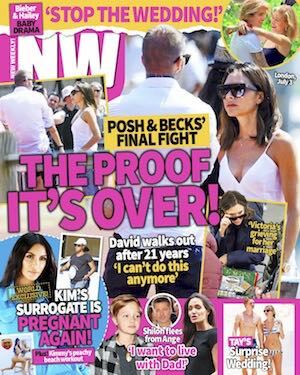 Whether they get their way about Wentworth will remain to be seen. 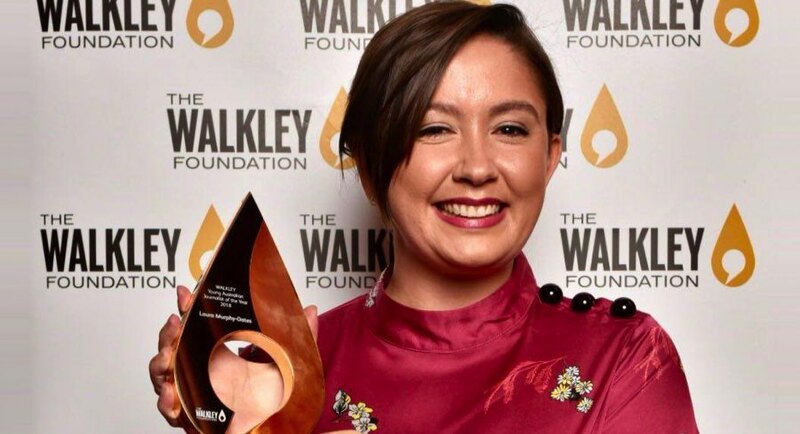 SBS journalist Laura Murphy-Oates was named the 2018 Young Australia Young Journalist of the Year at The Walkley Foundation’s Mid-Year Awards. The function was held last night at The Beresford in Sydney. There were 13 awards handed out throughout the evening including Jacoby-Walkley Scholarship, the Arts Journalism Awards and the Women’s Leadership in Media, Freelancer of the Year and Industrial Reporting Awards. Along with the 2018 Young Australia Young Journalist of the Year award, Murphy-Oates also won the Longform Feature or Special and Public Service Journalism categories for her story, “Kids of Kalgoorlie” and “Vanished: Canada’s missing women”. She has won a two-week trip to US newsrooms such as BuzzFeed, The New York Times, Columbia Journalism Review, Twitter and Quartz. Full winners list at mediaweek.com.au. 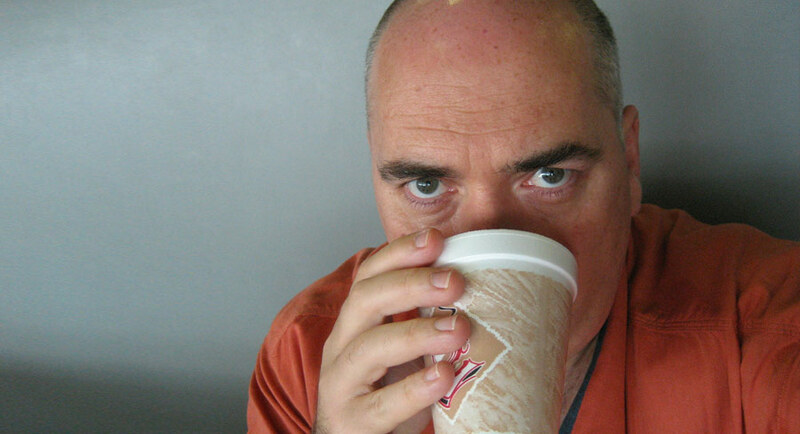 Former Australian radio broadcaster Andy Grace has been working the Southeast Asia circuit, promoting the Andy Grace Media app, a new system he’s developed for recording, editing and filing audio and video news stories from the field. In Australia, Fairfax Media and AAP are already using the app for news gathering, as are several sporting organisations that have begun their own channels. Last month Grace was in Singapore at Broadcast Asia, demonstrating the technology to APAC news media organisations. Grace told AsiaRadio that he has developed a really simple user interface “so non-professional users can gather the best quality content”. 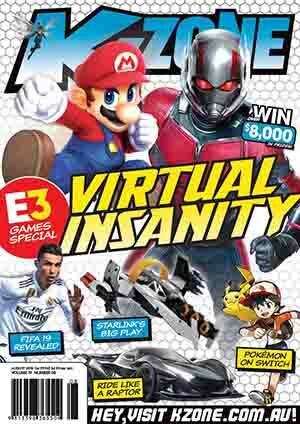 He added, “Sky Racing has been using it for hostings out of Hong Kong. The aim has been to make it as simple as possible on the content gathering side, but super powerful in the cloud.” After Singapore, Grace went to Bangkok as part of a Victorian Government-backed trade delegation to the two major broadcast technical conferences in the region. Singapore Press Holdings posted a 64.3% increase in its third quarter net profit to S$47.4 million (A$47 million), compared to S$28.9 million for the same period last year. Nine-month net profit rose 15.6% to S$148 million. Media revenue declined, but SPH CEO Ng Yat Chung said, “As we continue to sharpen our media capabilities in the face of digital disruption, we are seeing early signs of a slower decline of our media revenue.” He added that the decline was slower as the group pressed on with its efforts “to face its digital challenges head on”, with promotions driving up digital circulations and an e-paper, a PDF version of the Straits Times print version, notching up more than 37,000 unique readers. The Radio Audience Measurement 2018 in Malaysia by GfK in partnership with Commercial Radio Malaysia revealed that radio is reaching more listeners by race, compared to the previous survey in the second half of 2017. The overall weekly reach increased for all races, especially Chinese, with growth up from 4.8 million to 5 million listeners – a 3.4% increase. The results also show that radio reaches 14.7 million of its listeners at home, accounting for 70% of the population in Peninsular Malaysia, while 2.7% more listeners are tuning in from their car compared to the previous wave of the survey. Weekday drive time shows and weekday breakfast shows had the highest listenership of 14.1 million and 13.6 million respectively. 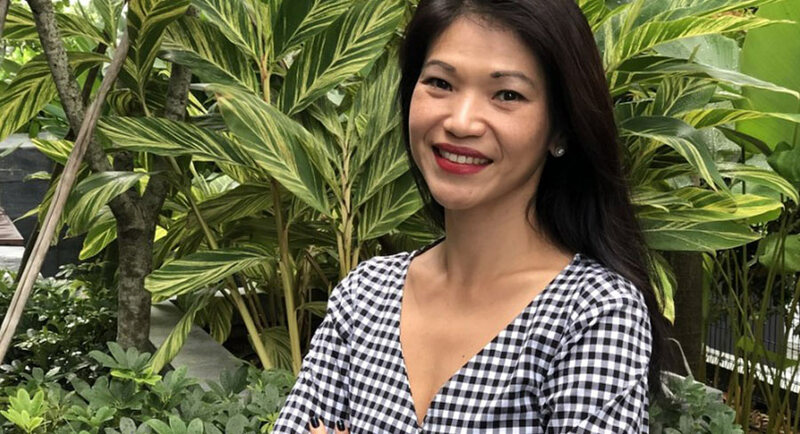 Mediacorp has named Angeline Poh as chief corporate development officer, effective September 1, to help develop and drive Mediacorp’s medium- to long-term strategies in consultation with key stakeholders. Poh will also identify and pursue key international partnerships to expand the company’s reach outside of Singapore. Poh joins Mediacorp from Infocomm Media Development Authority (IMDA,) where she was assistant chief executive and launched the Future of Media plan, aimed at developing a future-ready media industry. 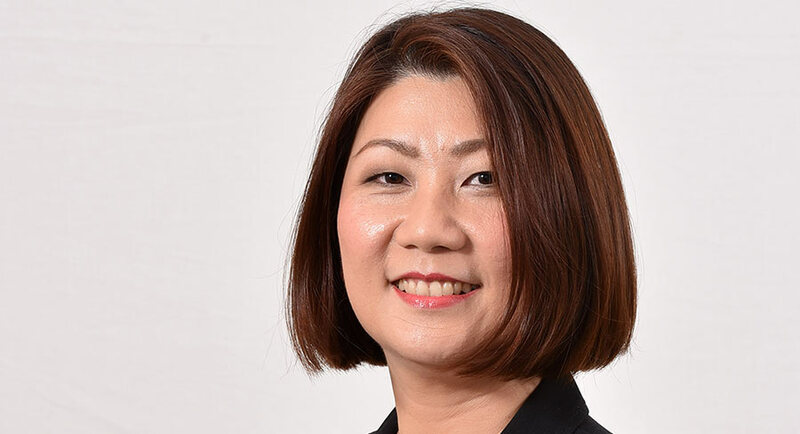 She has overseen the implementation of Singapore’s public service content strategies, working closely with Mediacorp to increase the reach of the company’s Public Service Broadcast content. Singapore’s Mediacorp has made two more new hires to strengthen its “organisational capability and deepen its engagement with consumers”. 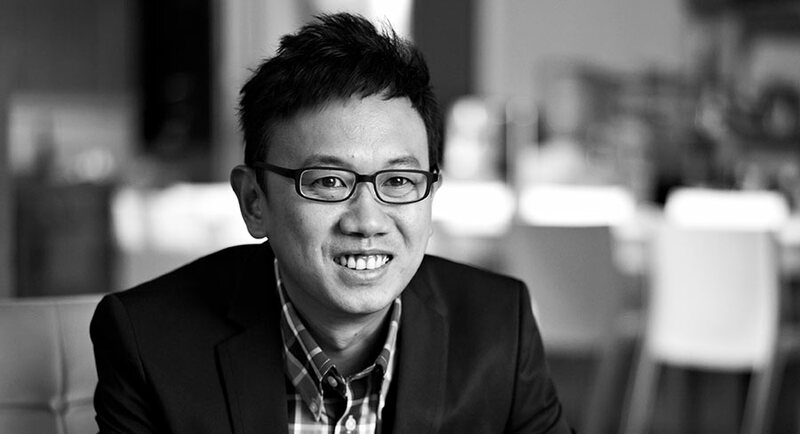 Oliver Chong will join Mediacorp as head of consumer marketing, reporting to chief marketing officer Debra Soon. He will help to create a coherent marketing strategy. Chong signs on from StarHub, where he was brand experience vice president and where he worked for the last 18 years. He has won numerous awards and is president of Singapore Advertisers Association. 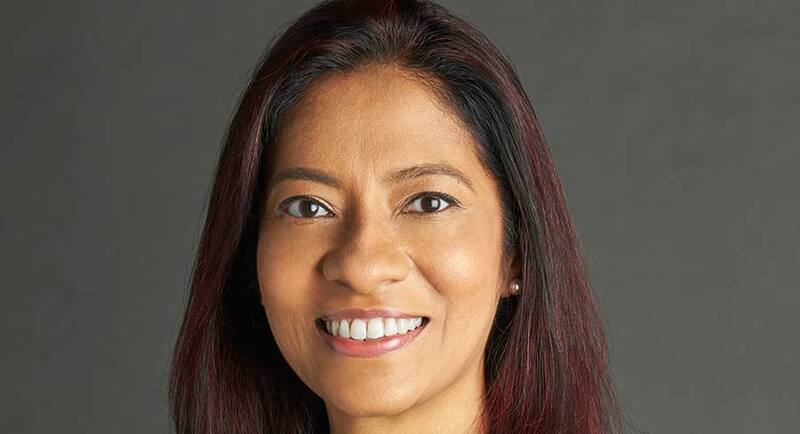 Also signing on at Mediacorp is Sabanitha Shanmugasundram, who will be head of Indian Audience, reporting to chief customer officer Irene Lim. She will lead Mediacorp’s drive to increase its audiences and revenue in the Indian segment. She started her career as a journalist in the UK and previously worked for Mediacorp from 2006 to 2013. For the last three years, she was director of creative services at a media consultancy, working on the launch and rebranding of broadcast networks in Asia. Thai state-owned public broadcaster MCOT is investing 650 million baht (A$26.4 million) to enhance its digital TV broadcasting reach, following switching off its remaining analogue broadcast signals on July 16. At switch-off time MCOT’s digital coverage area had reached 95% of the population. The funds to enhance its digital presence are part of MCOT’s use of its proceeds from its IPO this year. Mediacorp chief executive Loke Kheng Tham has quit the advisory board of the Asian Television Awards, ending Mediacorp’s heavy involvement in the awards in previous years. ContentAsia said, “The latest development is being seen as part of a broader initiative by Singapore agencies to distance themselves from the awards event, operated by Active Marketing and Events Pte Ltd (formerly known as Asian Television Awards Pte Ltd) and the awards chairman, Raymond Wong.” Earlier, the Singapore government’s Info-Comms Media Development Authority (IMDA) ended its awards sponsorship, which will effectively axe the event from the high-profile annual Singapore Media Festival. Singapore Press Holdings, through its wholly owned subsidiary SPH Invest, has partnered with Singapore-headquartered mm2 Asia to jointly operate online news site AsiaOne, introducing more lifestyle and entertainment content to the 23-year-old entity. Singapore-based AsiaOne was founded in 1995 by SPH, and provides online advertising and interactive marketing opportunities to marketers, including banner advertising, mobile advertising, electronic direct mailing, viral marketing gateway, and sponsorships. AsiaOne was relaunched in May 2017, and focuses on social news and trending topics in Singapore, Malaysia and the region. 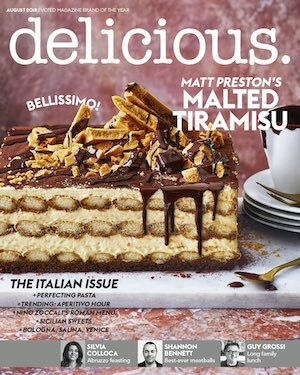 • Singapore publishing company Media Group, which launched earlier this year, has bought Magazines Integrated and its gourmet lifestyle titles epicure Singapore, epicure Indonesia and its website epicureasia.com, effective today. 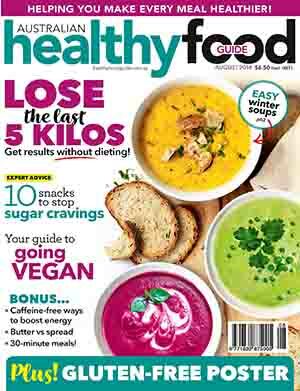 Epicure Singapore launched in April 2010, and the July 2018 issue is its 100th edition. Media Group, a subsidiary of KHL Printing, is also the parent company of Asian Geographic Magazine, which operates as a standalone. • Vice Media has appointed Serene Lee as head of sales for APAC. She will be based in Singapore, where she will report to APAC CEO Hosi Simon. Lee’s previous jobs include senior vice president of Forbes Asia, assistant vice president for Citigroup Singapore and regional account manager at AXN Asia and Asiaweek. • Facebook has bought the rights to all English Premier League football matches for several Southeast Asian countries from next year until 2022, according to The Times of London. Facebook won the rights in an auction, and will pay about £200 million (A$355 million) for the live broadcast rights in Thailand, Vietnam, Cambodia and Laos. • Australian filmmaker and journalist James Ricketson, who has been in jail for just over 12 months in Cambodia, has apologised to Prime Minister Hun Sen in a letter to the Khmer Times for his “disruptive and ill-informed statement made from a place of foreign naivety and ignorance about the complexities and difficulties of governing Cambodia”. Celebrities such as Sam Neill, Greta Scacchi, Bryan Brown and Rachel Ward have appealed on behalf of Ricketson, who was arrested in June 2017 while flying a drone over an election rally in Phnom Penh. • Southeast Asia’s real estate portal PropertyGuru Group has appointed Joe Dische as chief financial officer to help expand regional growth. Dische will be responsible for the group’s finance functions in Singapore, Malaysia, Thailand and Indonesia. Dische was formerly CFO for iCar Asia, and before that he worked for Vodafone Hutchison Australia. • Southeast Asia’s iflix has partnered with Axiata Digital company ada (analytics. data. advertising), the largest integrated digital marketing outfit in South and Southeast Asia, to offer brands audience engagement in Asia, beginning with Indonesia, Malaysia, Thailand, the Philippines, Sri Lanka, Bangladesh and Cambodia. • China’s Tencent said in a filing to the Hong Kong Stock Exchange that it plans to spin off its online music streaming business Tencent Music for a separate listing in the US. This move could also profit Spotify, an investor in Tencent Music and its strategic partner in China. • A Media Partners Asia report reveals that the value of sports media rights in Asia Pacific, excluding China, is on track to reach US$5 billion this year, a YOY increase of 22%. The rights spike is partly due to increased demand for digital rights and market growth in India and Australia and from rights to FIFA World Cup in Russia. 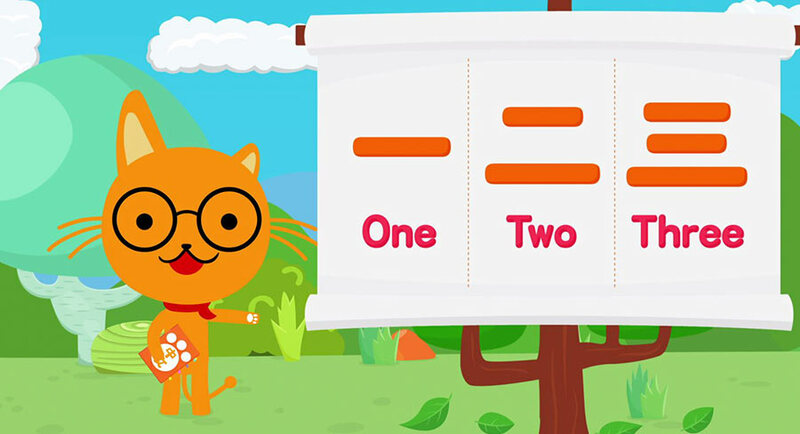 • Hong Kong-based Celestial Tiger Entertainment has debuted Miao Mi, the Mandarin edutainment channel created for preschool kids across Asia, in the Philippines on SKYcable. Miao Mi programs come from leading children’s content providers, primarily from China, Korea and Japan, and are all dubbed in Mandarin. Miao Mi also features its own shows. • Cambodia’s National Election Committee issued IDs to 910 journalists from 92 media outlets to be the observers for the 6th National Assembly elections to be held on Sunday July 29. • Chinese homemade video app Tik Tok is no longer banned in Indonesia following an agreement with the Communications Ministry to censor “negative content” deemed pornographic or blasphemous. Tik Tok also agreed to open an office in Indonesia and to set up a team of 20 censors in Indonesia to sanitise content. • Southeast Asian streamer iflix now has more than 15 million subscribers, following 250% growth since January this year. Content consumption has doubled in the last five months to 22.84 billion minutes (43,500 years) streamed since launch. • A+E Networks’ LifeTime Asia will air its new six-part, digital-first original production, Who Runs the World With Mong Chin, on Monday evening July 23. The series is hosted by popular Singaporean social media influencer, Yeoh Mong Chin. • Reuters journalists Ko Wa Lone and Ko Kyaw Soe Oo were officially charged on July 9 in a Myanmar court under the colonial-era Official Secrets Act, which punishes anyone who “obtains, collects, records or publishes or communicates” state secrets. If found guilty the duo face a maximum sentence of 14 years’ prison. • DealStreetAsia, quoting from a discussion with iflix co-founder and group CEO Mark Britt on the sidelines of Wild Digital 2018 in Kuala Lumpur, said Britt wants to raise at least two more financing rounds before going public. Britt also said that last year iflix broke even in Indonesia, its biggest and fastest-growing market. Southeast Asia has long been a favourite watering hole for that now-endangered species, the Aussie newspaper sub-editor. 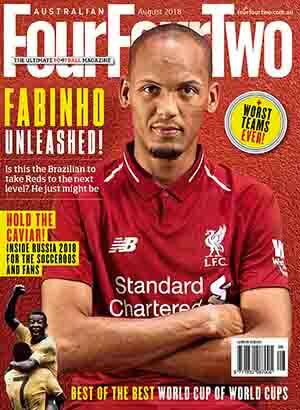 But Debritz himself is not a big fan of subbing in Thailand as a career – he reckons it’s something you can take or leave and he’s just left it. In July last year he signed on as sub-editor with one of the two English-language dailies in Bangkok, The Nation (the other is the Bangkok Post), and this July he pulled the plug. • The Front Bar with a full house – another timeslot move soon? Home And Away ended its week on 640,000 after starting close to 700,000 and then dipping to 652,000 midweek. The second episode of The Single Wives was on 357,000 after launching on Wednesday with 375,000. With no Thursday night AFL, The Front Bar moved back a night with 301,000 across the network. The Melbourne audience was 202,000 – double the audience of The Single Wives. Is The Front Bar’s next stop 7.30pm? A Current Affair started with the story of an accidental poisoning, which featured interviews with both parties. The episode was on 766,000 after 800,000 on Wednesday. 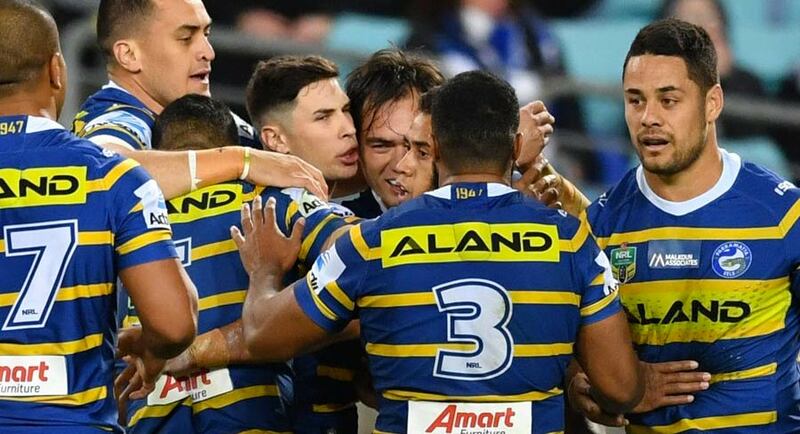 The Thursday night NRL featured the Eels victorious over the Bulldogs with 351,000 watching. The Footy Shows did 329,000 across the metro network with 165,000 in Melbourne and 65,000 in Sydney after the football. A big episode of The Project that covered everything from National Tiles spruiker Frank Walker through to Waleed Aly serving it up to Malcolm Turnbull over his African gangs scaremongering. The Thursday audience was on 518,000. 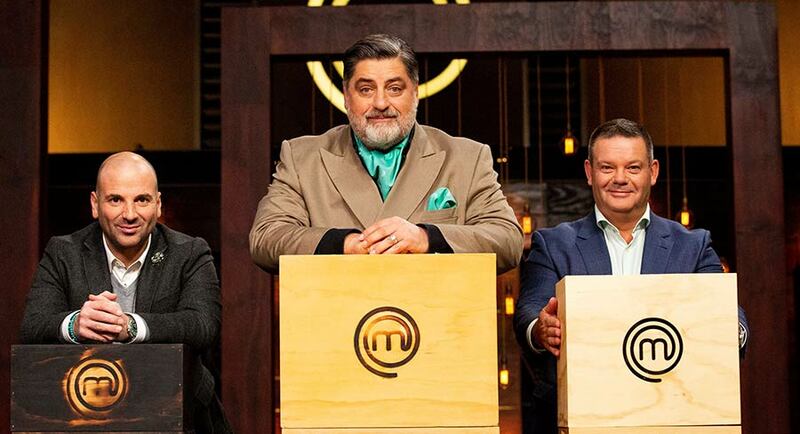 It was another very important day in the MasterChef kitchen, except this time Matt Preston wasn’t just talking it up. Six became five by the end of the episode with Reece going home on the eve of finals week. The emotions seemed all very real and it was one of the best MasterChef episodes on what has been one of the best MasterChef seasons. And do the contestants get much nicer than Reece Hignell? The audience was 852,000, which is the best Thursday audience this season. A MasterChef Masterclass followed with Curtis Stone the guest, but only after dishes from Gary, George and Matt. The Masterclass audience was 550,000. Grand Designs Australia did 491,000 with a very young Peter Maddison hosting. 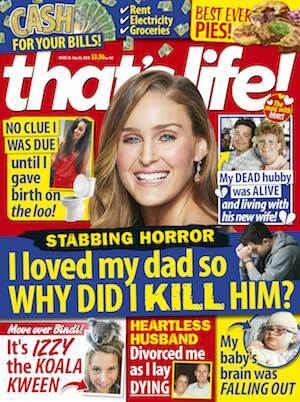 Everyone’s A Critic was on 219,000 followed by a repeat of Victoria on 127,000. On ABC Comedy, Mansionair were a wonderful addition to Tonightly, but the numbers didn’t make our list of the top shows. An episode of Great British Railway Journeys at 7.30pm did 244,000. Stage 12 of the Tour de France then did 201,000. Michael Ebeid doesn’t have the best job at SBS – Gabriel Gaté does. The French chef was tasting cheese against a magnificent mountain backdrop during the coverage last night. Comcast will no longer seek to compete with Walt Disney for a swath of 21st Century Fox’s entertainment assets, choosing to focus instead on winning control of the British pay-TV service Sky, reports Bloomberg. Disney can now go ahead with its offer of $US71.3 billion for Fox’s properties, which include a 39% stake in Sky. Comcast has offered about $US34 billion for the UK pay-TV provider, including Fox’s stake, though it’s unclear if Disney will be willing to part with it. Comcast will now turn its full attention on Sky, a key asset to help the Philadelphia-based cable provider expand overseas. While the Fox studios and TV networks would have been complementary assets to Comcast’s own Universal studios and NBC TV assets, Sky would instantly give Comcast something it currently lacks: a global presence. He took Nine to number one in the ratings and the sales department (or “fails” department as he called it both at Nine and at BSkyB) recorded successively higher and higher advertising revenues. He did this by capitalising on World Series Cricket and leading positions in general entertainment as well as news and current affairs programming. He drove his team hard and socialised with them at night. It really was the Bollinger network. He thrived in conflict, often setting up two people in the same role and enjoying the scuffle. 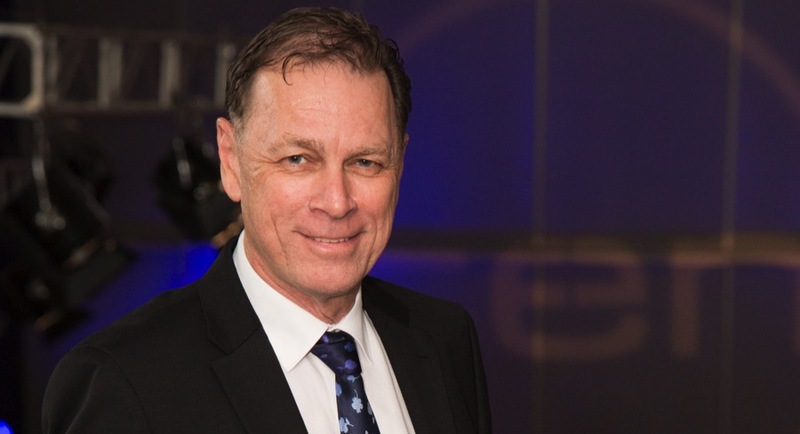 Sky News and Fox Sports presenter Greg Thomson has resigned from the broadcaster after a foul-mouthed rant at a charity function, reports The Australian’s Darren Davidson. Thomson tweeted about his resignation today. “I wanted to let you know I’m resigning from @SkyNewsAust and @FOXSportsNews,” Thomson wrote. You wouldn’t know it watching him play up to the cameras on Studio 10, but much-loved Aussie star Jonathan Coleman has been secretly battling prostate cancer for the past year – keeping it from fans and the public as he continued to entertain us all on TV and radio, reports Ten Daily contributor Claire Isaac. Though the announcement may come as a shock, there is some good news too – after 12 months of treatment, Jono is on the mend, and is ready to talk about his journey. After undergoing chemo and radiotherapy at the Kinghorn Centre and the Genesis Centre as part of his St Vincent’s Hospital treatment, the star now determinedly refers to himself as a cancer survivor, and we couldn’t be happier for him and his family. 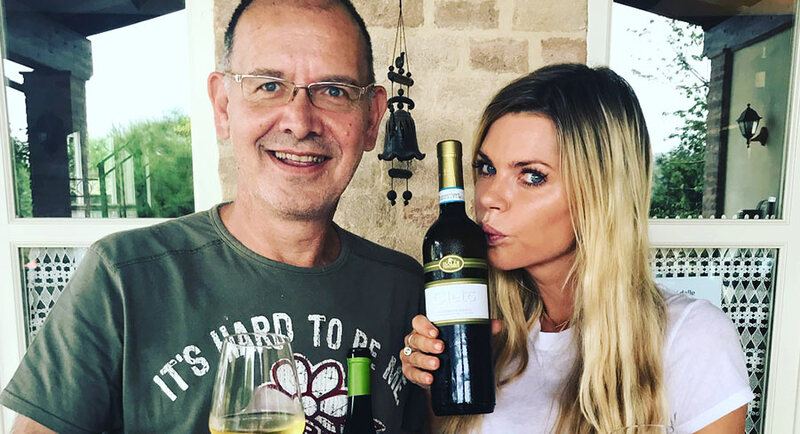 Sophie Monk has confirmed she is filming a new reality TV show for Channel Nine, reports Fairfax Media’s Broede Carmody. But forget Love Island’s bikinis and rippling abs for a moment. This time, the former Bardot singer is jetting off across the Mediterranean to film a new travel program. The new venture – which has the working title The Sophie Monk Travel Show – is a collaboration between the former Bachelorette and her good friend and former producer, Oscar Gordon. The pair used to work together at Sydney radio station 2DayFM. He may not be making a political comeback just yet, but Sam Dastyari will soon be all over our TV screens as he launches a new show, reports News Corp’s Sharri Markson. The disgraced former politician, who resigned amid a scandal over his links to Chinese business figures, is the sole host of a new Channel 10 television show called Disgrace. The essence of the show is to delve into major scandals, shining the blowtorch on those at the centre of a crisis, with discussion about why some people survive while others don’t and how the affair could have been handled differently. Channel 10 sources described the television show as “pretty edgy”, with producer Charles Firth from The Chaser adding his flair to the project, which has had a pilot commissioned. If there ever was a mockumentary you can’t miss, it’s Tour de Pharmacy, reports news.com.au’s Wenlei Ma. You will laugh, you will cry-laugh and you will fight to keep your dignity trying to keep pace with the barrage of funnies. The jokes don’t let up throughout its entire 40-minute run time and, when sweet relief finally comes, you’ll be beaming from ear to ear. A year after it aired in the US, the Tour de France satire is finally being broadcast in Australia and not a moment too soon, with a week and some change to go before Lycra-clad men race for the finish and glory down the Champs Elysées. Tour de Pharmacy airs on The Comedy Channel on Foxtel on Sunday July 22 at 8.30pm. It’s almost expected, it’s getting repetitive, but Sam Kerr’s continuing haul of awards in 2018 is absolutely deserved, reports News Corp’s Fiona Bollen. Kerr was the only Australian to leave this year’s ESPYs with an award in hand, winning the Best International Soccer Player at the ceremony held at the Microsoft Theatre in Los Angeles. Only two other Aussies were nominated for awards. 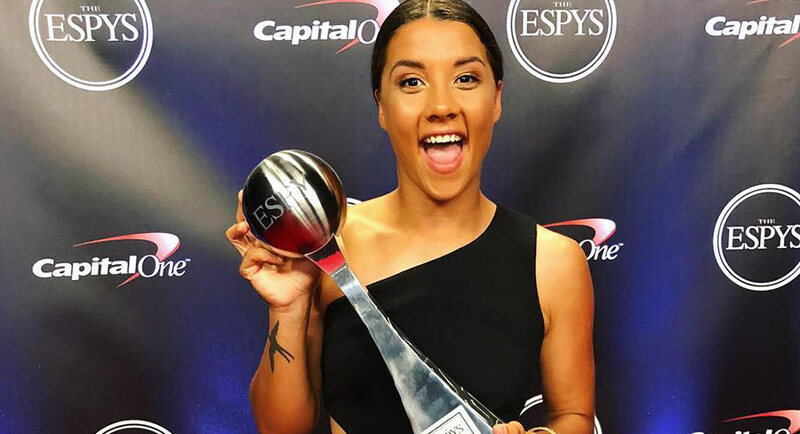 NBA basketballer Ben Simmons was beaten by Utah Jazz’s Donovan Mitchell for Best Breakthrough Athlete and Stephanie Gilmore lost out to snowboarder Chloe Kim for Best Female Action Sports Athlete. After exploding onto the world scene at last year’s Tournament of Nations, Kerr was a goal scoring machine in the National Women’s Soccer League in the US last season. She has been awarded back to back Julie Dolan Medals as the best player in the W-League (this year a joint winner with Clare Polkinghorne). She was named Asian Women’s Footballer of the Year and now has lucrative offers to play around the world. The Big Bash League’s move to a full home-and-away season is a significant leap forward, but it also presents some fascinating new challenges for the competition, writes Fox Cricket’s Adam Gilchrist in The Daily Telegraph. One attraction in expanding the season is the broadcast coverage and, with two broadcasters covering three-quarters of the games and Fox Sports exclusively covering the rest, hopefully viewership will increase. More matches are going to provide greater challenges for the franchises as well. 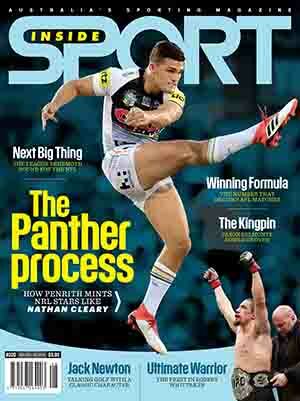 They’re going to have to manage their lists carefully with overseas players, Australian internationals and injuries.